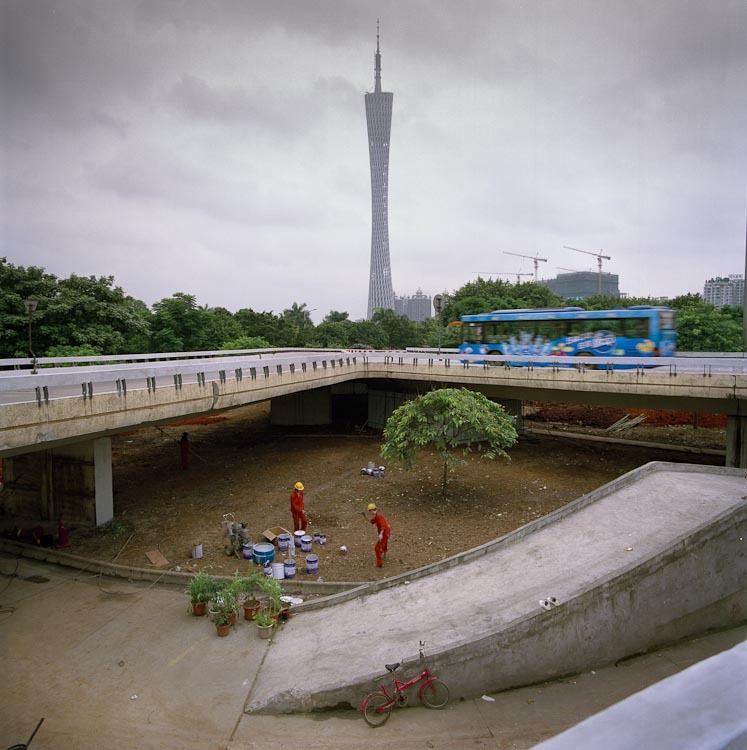 Series Statement: This photo of Guangzhou's Canton Tower taken from the Zhujiang Xincheng District captured much of the synergy that I see in China's urban development. Directed from the top levels of government whole swaths of cities are being redeveloped in a way that reflects a dream of modernity. In some ways these areas are more like elaborate facades waiting for its actors. They stand in stark contrast to the other parts of the city that have developed over centuries. The old neighborhoods are intricate, complex and organic. Both are incredibly interesting to photograph. I'll continue to work on this project during 2012 and put periodic updates on my blog, Chinopolis.net.